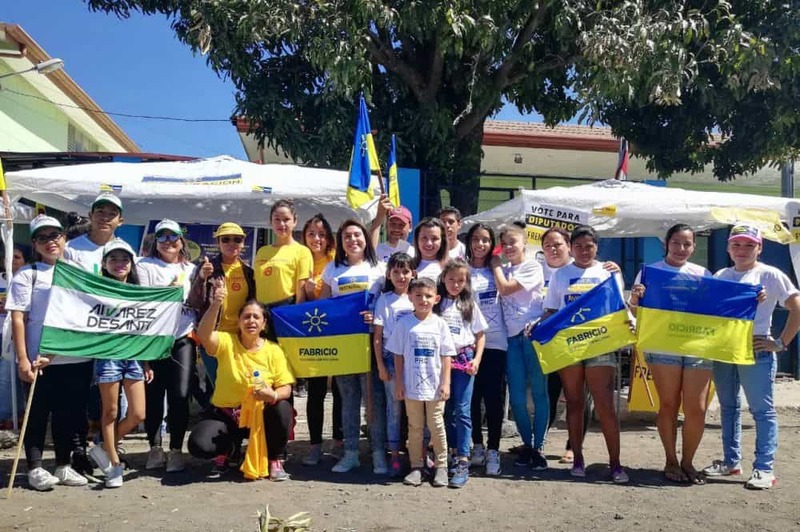 The Tico Times is grateful to Vecinos Activos Cueva de Luz, a community news site focused on the San José neighborhood of La Carpio, for sharing photos and stories from Election Day with us. Vecinos Activos (Active Neighbors) is “a social enterprise that was born from the need for a media outlet belonging to La Carpio… to show the dynamic and vivacious nature of a community where, in the past, only dramatic or somber news has been reported,” the website states. This year’s election in the low-income settlement west of downtown San José was affected by the fact that La Carpio residents could not vote within their own district due to ongoing construction of their new elementary school. Vecinos Activos project coordinator Augusto Bolaños told the Tico Times that while the change in voting location did provoke confusion and may have affected voter turnout, one highlight of Election Day was that “many young volunteers from La Carpio who could not vote because they were underage, or immigrants, worked as guides at the Escuela Otto Hubbe,” the voting site. Read more election coverage from Vecinos Activos here.